Links are not working, what were they about? The links on the tweets is to the e-STORE, to buy the Kingdom Hearts -The Story so Far-, and it still works. Hmph... "currently planned for the US only". Europe seems to get short changed a lot when it comes to gaming. Historically or otherwise. 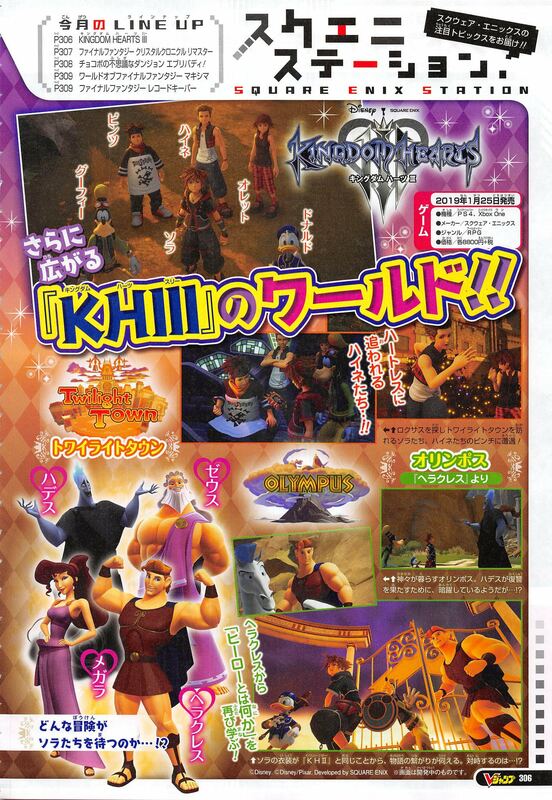 New scan with new renders and screenshots. Well, this is cool! I hope they release the patch overseas. So the share function was blocked? Didn't know that, neat update. That said, will KH3 have share function locked (at least at first)? Yes! It was blocked on the HD collections! About this option in KH3, well, they haven't said anything on that topic yet.. The artwork of KH -The Story so Far- in high quality (4631x2110). Hopefully this new compilation will have less issues glitches/bugs than the last one had. Still dissapointed that the Tangled world is rehashing the movie's plot.